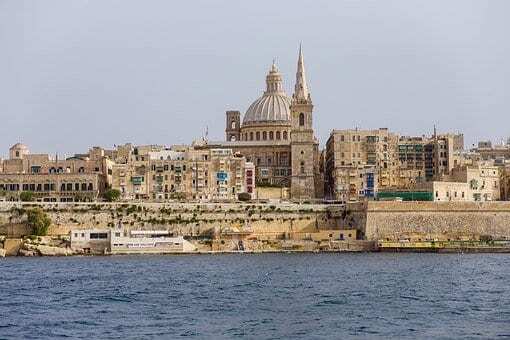 Malta only recently made it to our target list after we tuned into an episode of Mediterranean on BBC and saw the white stone buildings and natural harbour of Valletta. *cue open jaws*. As a rule, I tend to avoid ‘holiday’ islands, so hadn’t really considered Malta on any serious level before. It was a short-sighted view, which I’m glad I’ve amended. We’re booked up for 5 nights in Malta from Jan 26th and it can’t come quickly enough. We’re hoping to visit at least Tel Aviv in 2019, with the possibility of moving on if we have time. We’ve already started to make tentative plans for a trip to Minsk or Brest this year. We’re trying to maximise our coverage and hit two cities in the time we have off in March. I think Belarus is a seriously underrated destination and I’m pleased to see it made a list of travel targets for 2019 in Lonely Planet. Belarus has recently relaxed its visa restrictions, making 5-day trips much less of a headache, paperwork wise. If that’s not an open invitation, I don’t know what is. We’ve lived in North Wales for 3 years and, although we’ve made it down to Cardiff and Brecon, we’ve not had the time to explore Swansea. The photographs I see on Instagram of the city and surrounding villages are just beautiful, so I feel a weekend in South Wales is on the cards for 2019. While I’m keen to visit Nagasaki and Hiroshima, LT would like to see Tokyo. I’m sure we could work out a way to see them all with a few well-timed internal flights and trains, as we did in South Korea. Having now experienced Seoul, Busan and Jeju Island, I think we’d love Japan just as much. I’m keen to complete my map of the states and it’s been my ambition since I hit my up my first state (New York) in 2004. What’s on your New Year bucket list? Here’s to a year of travel and adventure.